We went to drop off a few blankets and pillows at the TAC warehouse this evening, for distribution to the displaced refugees and immigrants around Cape Town. I had mixed feelings being there: on one hand, really saddened by the violence and cruelty that has been perpetrated against the refugees, and on the other hand moved and heartened by the way in which ordinary men and women are giving up their time, money and energy to help these people... simply because they are people. The items they need most right now are toothpaste, toothbrushes, soap, baby formula, and of course, more pillows and blankets. For the time being they have enough tinned food, toilet paper and sanitary towels - but that can change in a matter of hours, so if you're unsure it might be best to give the TAC office a call on 021 422 1490 before heading to the warehouse. The warehouse is situated at 50 Canterbury Street (just off Roeland Street in Zonnebloem), and is open from around 8.30am to 10pm. 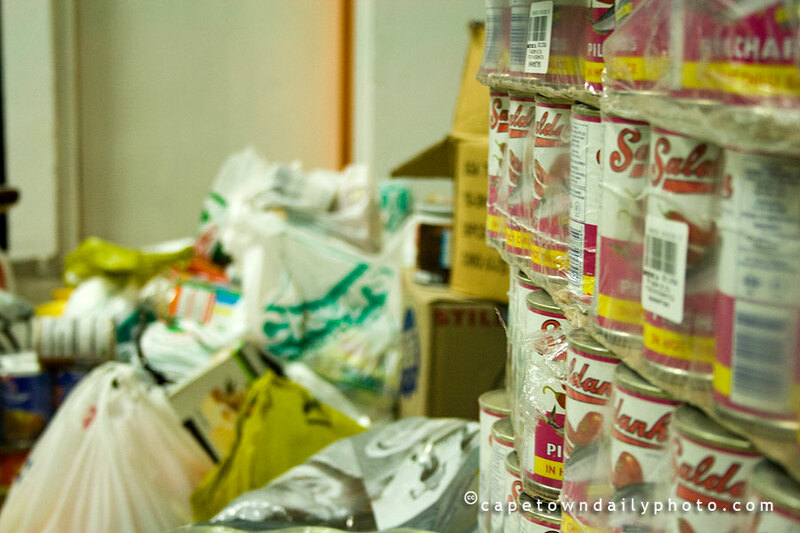 They need volunteers to help with the sorting of donated goods, and also people with cars or bakkies to transport supplies to where they are needed. The TAC office (4th floor, Westminster House, 122 Longmarket Street) is open 24 hours a day, and they are constantly in need of volunteers to help with phoning around, and doing admin and computer work. Please consider donating cash, either to TAC (which stands for Treatment Action Campaign: they are an HIV lobby and advocacy group, who have turned their hand to disaster relief - very effectively, I might add) or the Red Cross. There are a number of ways to donate to TAC, depending on where you live. Get more information here. You can donate to the Red Cross online here. Posted in General on Monday, 26 May, 2008 by Kerry-Anne.